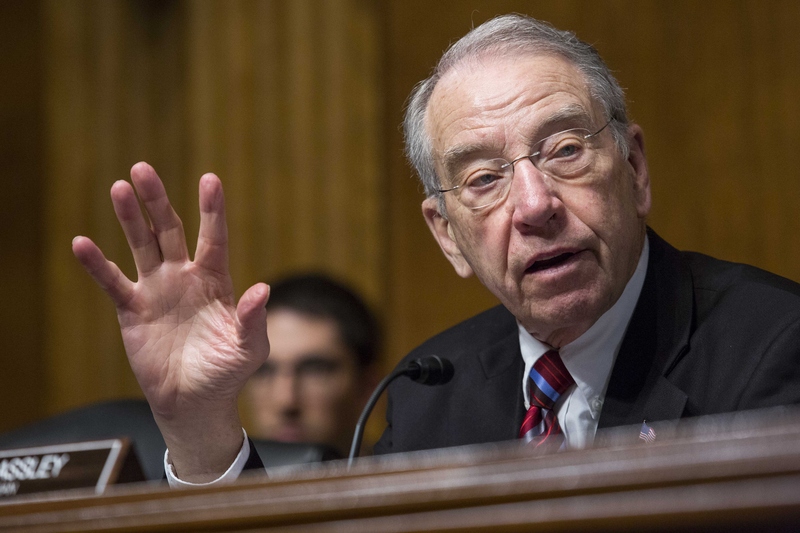 The letter, Grassley said, was unclear about what investigative steps the FBI is taking, why they are necessary to review the emails and whether they might include steps like seeking a search warrant. While he said Comey faced a “difficult decision,” Grassley was largely critical of the FBI director’s actions. “In the wake of your vague disclosure, Congress and the American people are left to sift through anonymous leaks from Justice Department officials to the process of varying levels of detail, reliability, and consistency. The American people deserve better than that,” Grassley wrote. Grassley also questioned whether there are political appointees at the Justice Department who are throwing up roadblocks to FBI agents in their investigation into Clinton’s servers. He listed a number of questions that he wants answered by Friday, just a few days before the election on Tuesday. He asked, for example, how the FBI knows that the emails are pertinent to the FBI’s inquiry into Clinton, any preliminary information about whether the emails are duplicates that have already been reviewed and asked for a time-frame that the emails cover.